Ellies Pearls are considered amongst the finest examples of South Sea pearls in the world. 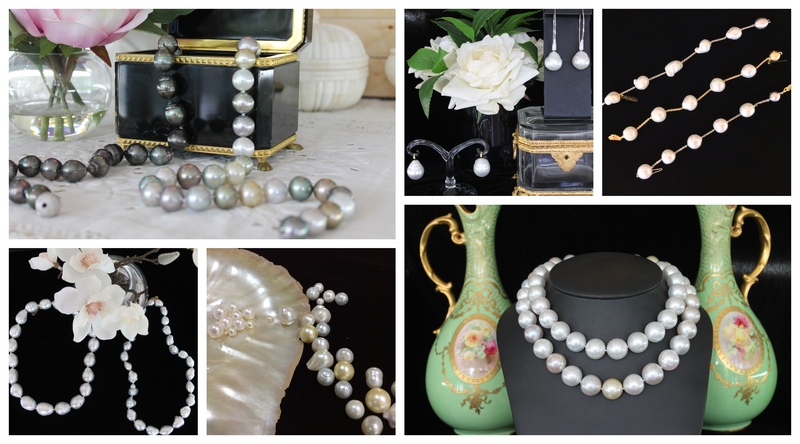 Isabella’s stocks a variety of exquisite strands, necklaces, bracelets and earrings from this fourth-generation pearl farming family. Rarely do you find pearls with such a magnificent lustre and excellence. The more brilliant and mirror-like the surface of the pearl, the higher its quality. With each strand, every pearl is hand-picked with care to ensure consistency in shape and size, resulting in pieces that are highly collectible and admired. The Keshi pearl is distinctive for its irregular form, and is made from pure nacre, therefore giving a supremely lustrous shine. Whether at a short or opera length, it is both elegant and eye-catching. Currently we also have in store strands of Tahitian and perfect round, white and multi-coloured South Sea pearls. These are highly coveted and understandably attract a premium price tag. Our signature swan hook drop earrings in Tahitian, South Sea and Keshi variations are a favourite of our valued customers. Isabella’s Master Jeweller has also created for us fabulous sets of extra-long hook earrings, featuring spectacular South Sea pearls. The pearls can be further complemented by adding bead-set diamonds where the articulated pearl meets the hook. We are more than happy to custom-make pieces, to suit individual customer’s needs. 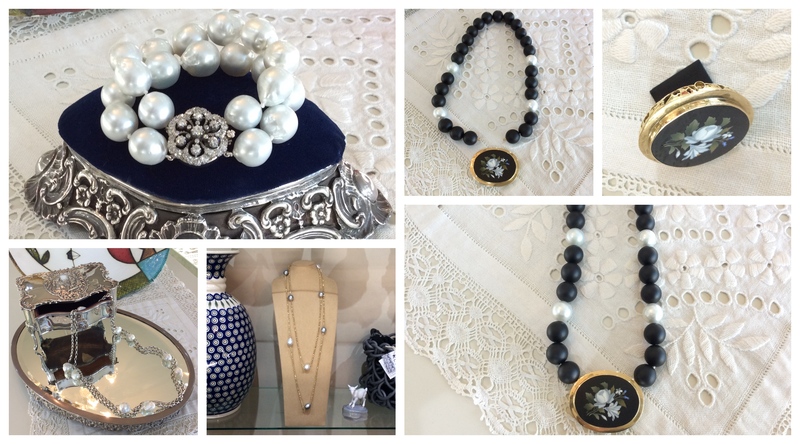 Pearls are that special, single piece of jewellery that can complement a casual, business or evening outfit – whether you’re in Noosa or New York. Of all the antique jewellery styles it is arguably Art Deco pieces that attract the most sustained interest at Isabella’s. Jewellery of the Art Deco era came to prominence in the 1920s. There were many influences on the emergence of the style, including exhibits at the World's Fair held in Paris, France. Formative design cues began to emerge almost a decade earlier and in the trade Art Deco pieces can be dated as early as 1915, through to 1935. The Art Deco style is defined by a bold, sharp, geometric aesthetic. Jewellery of the era leans towards more symmetrical and masculine details than the eras that preceded it. 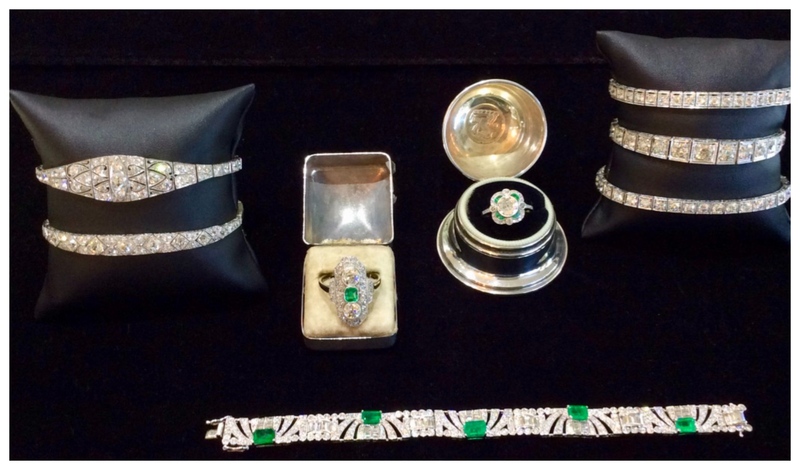 Currently at Isabella’s we have a stunning selection of Art Deco pieces featuring old cut European diamonds and emeralds. They are set in both platinum and white gold, which was customary, as yellow gold had fallen out of favour at the time. Pavé settings also feature. That is, diamonds set closely together to create an illusion of a “paved” surface, so that the setting becomes invisible. Isabella’s is fortunate to work closely with four antique dealers who travel internationally on our behalf, including to the UK, Europe and the USA, to bring these and other special Art Deco pieces back to Noosa. Our decorative French guinea fowl. Produced by the famed La Pintade in the south of France, each one is hand-painted. Our latest shipment has just arrived, with new and exciting colours - a striking red, a golden mustard (great accent colours to add to a room) and also an elegant winter white. Also from France, our collectable Coco Dolls have been enduring favourites. The current shipment will sadly however be our last, due to the retirement of their maker. There are now just a handful still available, so don’t miss out. Italian Neoprene handbags. In both fine and large knit options, each one is hand-made to exacting standards. These bags offer excellent value, retaining their good looks and shape for many years. European and Asian ceramics in the classic colours of blue and white. From large planter pots to trinket bowls and ever-popular plates and platters, they deliver both form and function. We also have an exquisite selection of ceramics from South African artist Charmaine Haines, including a tall vessel, a square vase and a stunning decorative plate. Haines uses both abstract and stylised symbols and motives to embellish her pieces. With their vivid colours, and leaning to the avant-garde, they would be sure to create a talking point in any room. Isabella’s brilliant Master Jeweller is known for his meticulous attention to detail, skilled workmanship and deft touch in putting a contemporary twist on some of our most beautiful and rare pieces of antique jewellery. Having access to the highest quality pearls in the Asia-Pacific region, our jeweller will often incorporate them in his designs. We currently have several antique guard chains embellished with Tahitian, South Sea and Freshwater pearls. This unique combining of old and new creates something truly special. Yellow gold, rose gold and sterling silver chains are available with different pearl combinations, offering different price points. Another ingenious example of the old and new duality is a highly collectable Pietra Dura brooch converted to a clasp on a striking onyx and South Sea pearl strand, thanks to an inventive but simple yellow gold bayonette fitting. The brooch can be interchanged for other pendants/clasps with the same bayonette fittings. This is a great way to get a variety of looks with just a couple of quality pieces. And for something superlative it’s difficult to go past our South Sea pearl bracelet complemented by an 18 carat white gold diamond clasp. Again our jeweller has spun his magic to convert this clasp from what was originally a brooch in the 1900s. This magnificent piece offers timeless beauty and elegance that can be enjoyed by a new generation.